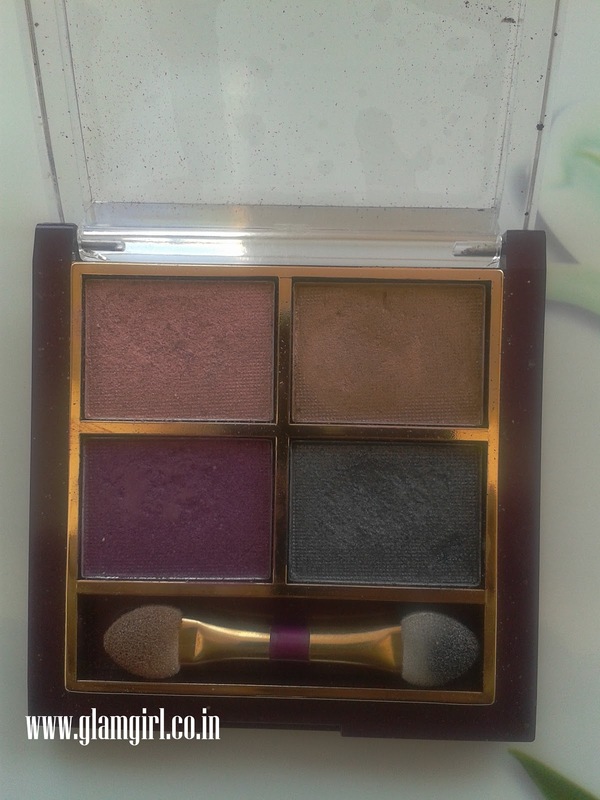 A versatile quartet of explosive, radiant colors to color and highlight your eyes, thereby giving you the heavenly look of a Diva. It is coupled with a handy applicator designed with a two sided brush that helps pick the right amount of color and apply it smoothly and evenly. 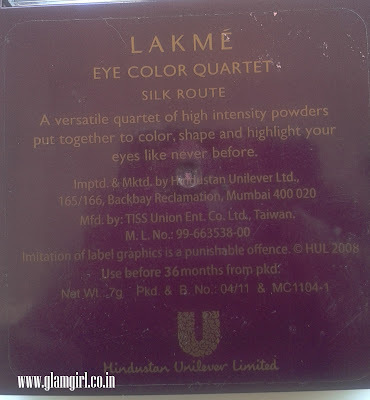 For those dramatic, intense eyes, pick up a Lakme Eye Color Quartet. I found it cute and attractive. 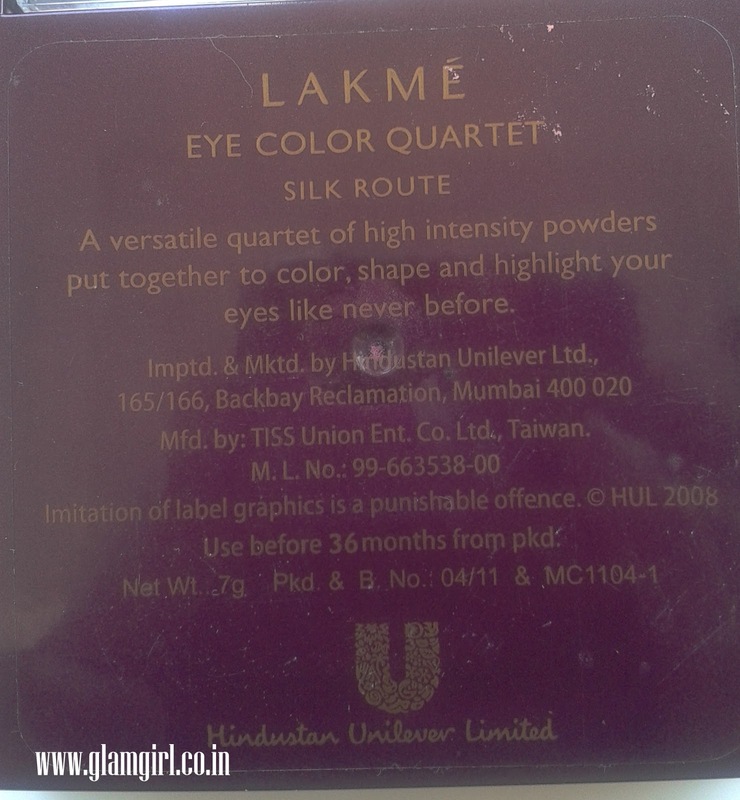 I must say Lakme has improved a lot on its product line and quality. 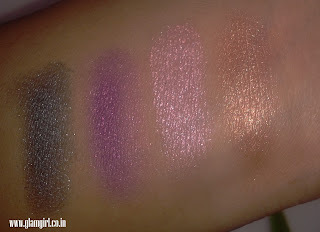 Lakme introduced eye shadow quartet, which includes four different colors. 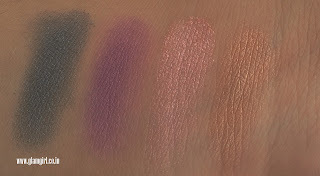 All the quartet have different colors. I liked silk route because it has all the obvious and very useful colors. 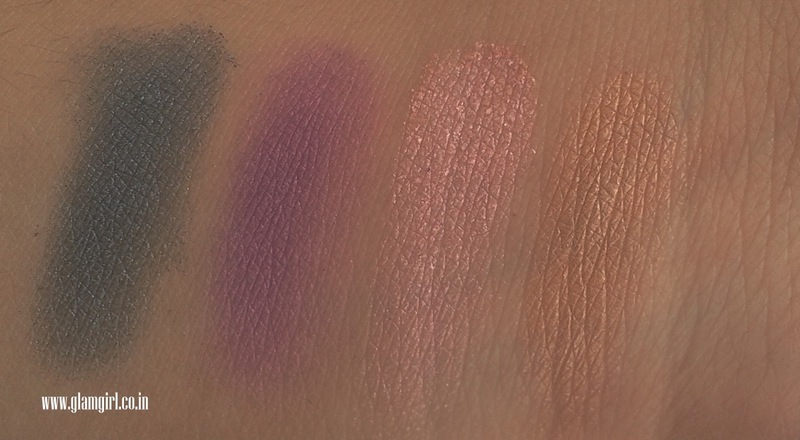 It has a natural bronze, light pink, violet pink, and grey. These are shimmer colors. Perfect for this festive season. Will I purchase it again: Overall its a nice product but I don’t wanna buy it again.